Blog | How Do I Hire A Translator For My iOS App? How Do I Hire A Translator For My iOS App? The process of localizing a mobile app depends largely on the company and the scope of the job at hand. Due to their size and project complexity, Enterprises and larger corporations tend to go with professional translation companies to tackle the challenge of localizing apps. Translation houses have trained translators perform the initial translation, additional translators to review the work, and project managers to oversee the entire process. This extreme attention to detail comes at a higher cost—one deemed worthy by many global businesses with a reputation and brand to protect. On the other hand, newer companies branching out into the global market oftentimes have less available budget to spend on pricy translation companies, and instead tend to contract directly with native speakers through freelance translation sites. As a cash-strapped business, this method is a reliable option at an affordable price. However, in many cases the people doing the translation work for large corporations and newer companies are the exact same. There are thousands of translators for each language locally and abroad, offering businesses a wide array of translation options at every price point. Below is a breakdown of the major types of translation services available and the benefits of each. When working through a contractor site like those above, you gain access to thousands of well educated professionals who can translate your app into their local language. They can do an extremely professional job for a fixed amount of money. Another benefit of working through a contractor site is that they manage the commercial aspects between you and the translators – a value easily overlooked. They protect the translator by making sure you have the funds for the job before work begins. They protect you by making sure you accept the work before you pay for it. Most importantly, they make sure the contract is legal and covers all ownership issues. To ensure the best work possible, create a separate job for each translation. Word count, the string count, and the screen count so that they have some idea of how much work there is. 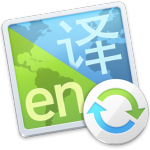 When using El Loco as your translation management tool, specify that they will be translating in a web based environment where they can see the app screens..
A description of what the app does will screen out translators without the needed vocabulary. Additionally, for a better final product, limit who can bid on the job to people who are actually located in the country that you are targeting – get a true native speaker – for each language/job posting. Finally, consider hiring two translators, one to do the initial translation, and one to double check the product. There are also thousands of professional translators available to businesses for app localization. Unlike their contractor counterparts, professional translators often offer higher standards of translation as they typically work as translators full-time, rather than part-time or on a contract basis. With these advanced professionals, their location is not as important in terms of native-speaking proficiency – meaning you have the ability to hire someone local and possibly even meet with them face-to-face. While the contracting services can act a valuable go-between, you can save costs upfront by going with an independent professional translator instead, and still receive exemplary service—this is their livelihood after all, and they have a reputation to maintain. While some professional translators opt to work for themselves, others choose to join a professional translation company. Search “translation companies” in Google and you’ll surely find more choices than you can realistically manage. Aside from the wealth of options, the main advantage of using a professional translation company is that you deal with a project manager instead of a specific translators for each language you are going with. Additionally, project managers will always check the work to ensure that everything is done properly, as well as be responsive and timely with delivery. Another advantage is that instead of a separate job posting per language, one translation company can manage all of the language translations simultaneously. Despite the higher level of service, you will still need to provide them with information on words, strings, and screens, in addition to letting them know translators will need to be using a web-based environment. Although the overall cost may be more than dealing with separate professional translators or contractors, the reduced stress of only dealing with one account contact can be worth the cost. Finally, beyond standard translation companies, there are also companies that specialize in translations for iOS apps. These specialized businesses combine the ease of dealing with one project manager (professional translation companies) with specialized knowledge about iOS apps. They provide the advantage of managing a group of translators already familiar with iOS specific phrasing and translation. El Loco falls into the professional iOS translation company category. As an iOS app localization management tool, we not only offer project managers to ensure that all your translations are accurate, but also run all projects through a second translator for accuracy. While we do not have translators on staff, we contract out to professional translation companies. After your initial app translation to a second language, El Loco offers translation bundling services to help you keep costs down and progress manageable as you continue to develop your app. Incremental changes are not sufficient to justify the minimum costs when engaging with a translator independently, nor will most translators be willing to take on such small projects. Our team offers a wealth of knowledge about iOS apps and the localization issues they can create—it’s why we exist. There are two big issues specific to mobile phone app localization: context and overruns. Short single word strings common in iOS apps do not provide enough context for accurate translation. When just the word “display” is used, is it a noun or a verb? How many different definitions can you imagine for “hot” as a single word on a screen? Is “Menu” food related or something to do with navigation? Translators need to see app words in the correct context to create an accurate translation. El Loco displays the strings as they appear in your app – providing context to translators. If there are still questions, the translator can message you directly for clarification on each specific string. The second big issue for apps is the lack of space for translations on a mobile device. A “text overrun” is when the translated text is too long to fit within the space allotted on screen. The El Loco interface allows translators to type directly into the window for a string and receive an indication when the string exceeds the space available, even if by just one pixel. For overruns, translators can attempt a shorter translation, use an abbreviation, or if the interface obviously can support a longer field, message you to request an increase to the field size. Because it is web-based, any translator can use the El Loco service and there is no cost to try it with your app. We don’t have a preference for which path you choose to hire a translator, we just want you to get your awesome app localized so that you can provide it to the parts of the world that want it, sell it to a wider market, and earn more money!